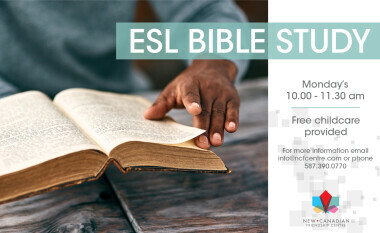 This Bible Study Class will provide opportunities to learn about Christian beliefs in a respectful environment. You will read and listen to different portions of the Holy Bible and opportunity will be given to ask questions and discuss the meaning. If you are curious about the Bible and Christian beliefs, or, just want to learn more than this class is for you. The class is a great opportunity to practice reading, listening and speaking in English!